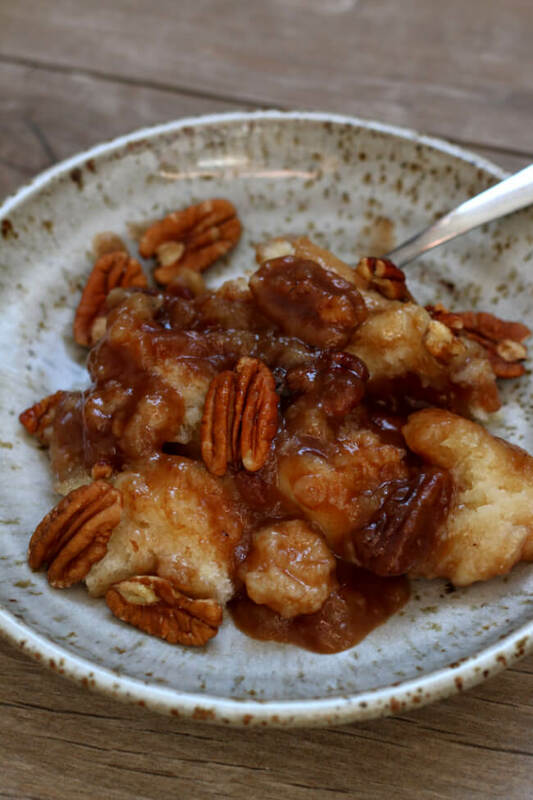 Slow Cooker Praline Pecan Cobbler–a gooey, caramelly praline pecan cobbler dessert that will blow your socks off. 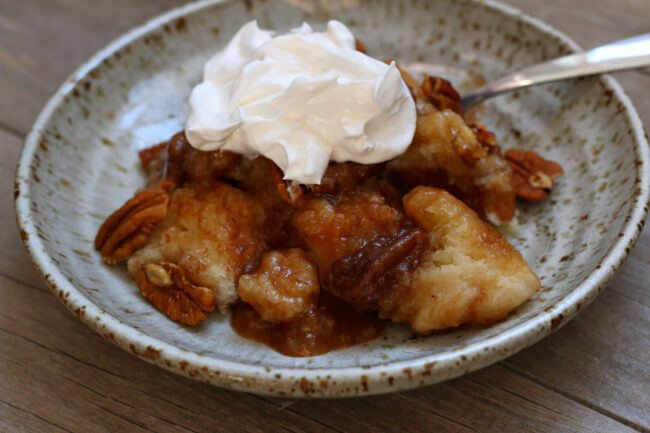 With a scoop of vanilla ice cream or whipped cream it tastes like heaven in your mouth. 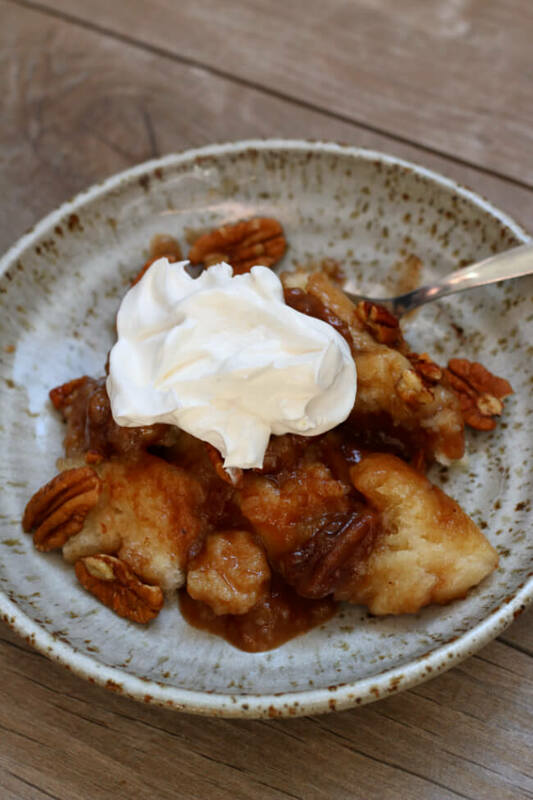 To make Slow Cooker Praline Pecan Cobbler recipe I used my small 3 quart slow cooker. * I love this little slow cooker because it’s super cute and it’s just the perfect size for side dishes, drinks or small meals. It fits into my sink so I can easily hand wash it and it fits in the bottom or top of my dishwasher so I can easily stick it in there to get clean. 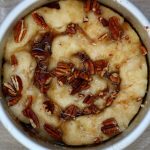 I try to use this 3 quart slow cooker any time I can! Pour the melted butter in the bottom of a small or medium slow cooker. 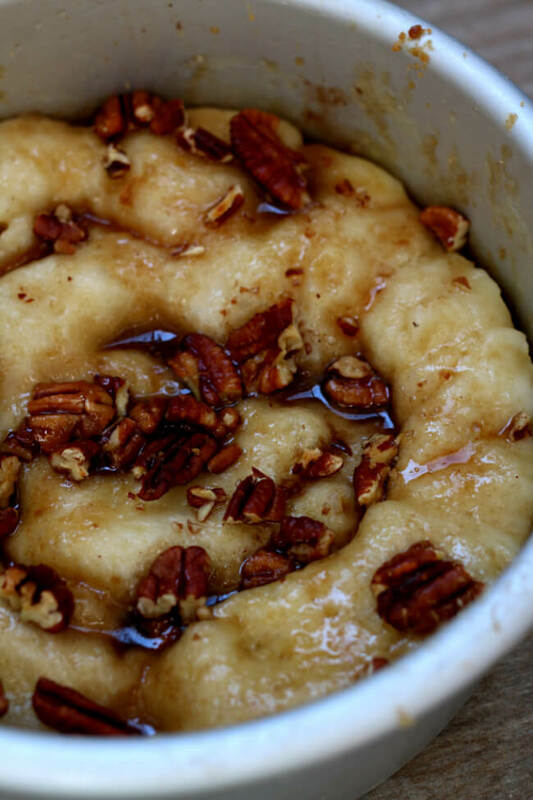 Sprinkle 1 cup of the pecans evenly over the butter. 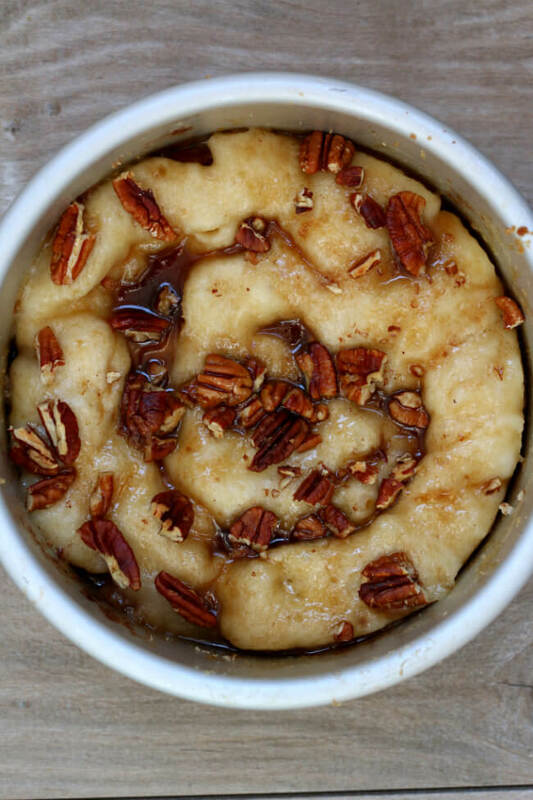 Cover the slow cooker and cook on high for 2-3 hours. Super easy to follow and prepare. Picked up pralines on way to work rest of ingredients I had ( staple items ) it was fantastic! Planning to double the recipe for times I have brunch!? Yum! That will be great!